Daily Window Bags also has several collections of preprinted backgrounds that fit in the transparent window pocket, which can be left as is or embellished to your personal style or mood of the day. 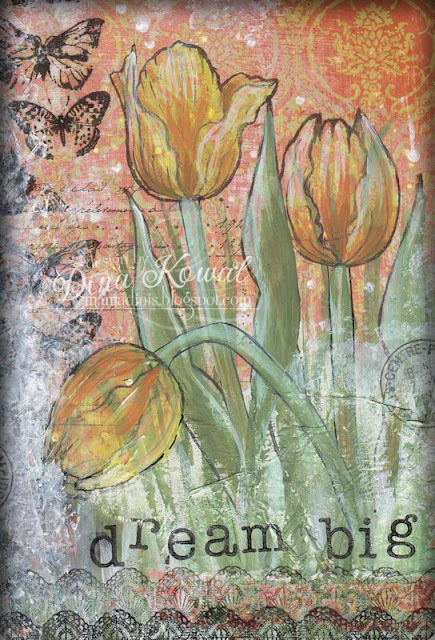 I made this panel for Birgit's Mix-Ability challenge this week, to use gesso and newspaper. I brushed gesso from the bottom of the panel to the top, dried it with my heat gun, then sanded to let the printed damask pattern show through. There are a couple strips of crinkled newspaper above the stamped words - I think you can still see the crinkles, though the newsprint is covered up! I didn't document my process at all, since I was sort of making it up as I went along... I used stamps from Impression Obsession (script, lace borders, postmark), Crafter's Companion (tulips), Unity Stamp Co. (butterflies), and Graphic 45 (ABC stamps). The tulips are painted with acrylic paints. 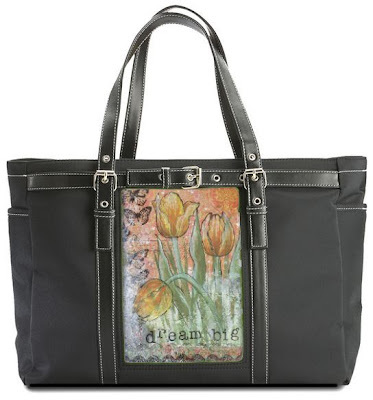 acrylic paints | Crafter's Companion | Daily Window Bags | dkdesigns | Impression Obsession | Sheena Douglass stamps | Unity Stamp Co.
Great looking hand bag, I love that. I love your tulip insert decoration. It really makes the bag, snazzy! 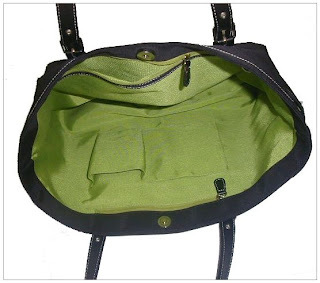 that is such a beautiful bag! lifestyle, you may as well trust shox set of footwear.